We are proud to finally announce our sponsorship with the Norfolk Lawn Tennis Association! 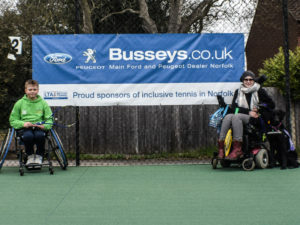 At the start of the year Busseys started a 3 year sponsorship with the Norfolk Lawn Tennis Association (NLTA) with the objective to provide tennis throughout the county for children and adults with disabilities. This sponsorship has helped provide coaches with specialised equipment when teaching inclusive tennis around Norfolk. The Norfolk LTA is increasingly trying to do more for disability tennis in the county, to do this they have appointed Norma Bowen, a Disability Coordinator. 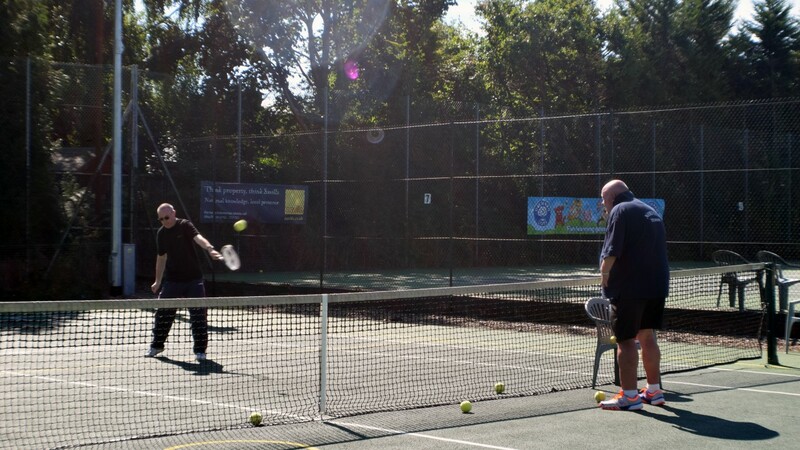 Norma works closely with local coaches and professionals such as Active Norfolk, all with the aim of setting up disability projects and increasing opportunities for people to play tennis whatever their disability. 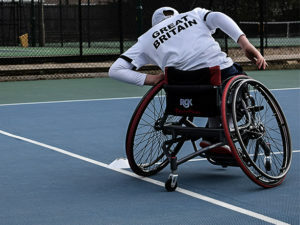 Wheelchair tennis is one of the fasted growing wheelchair sports in the world and the NLTA play a big part with the rising awareness of it in Norfolk. 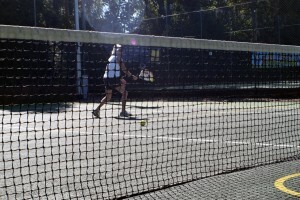 Integrating easily with the non-disabled game, wheelchair tennis can be played on a regular tennis court with no modifications needed to rackets or balls. 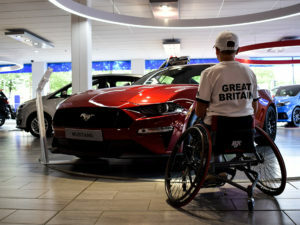 The game can also be played with other wheelchair players, as well as non-disabled friends or family. The only difference is, wheelchair players are allowed two bounces of the ball instead of the one bounce in a non-disabled match. 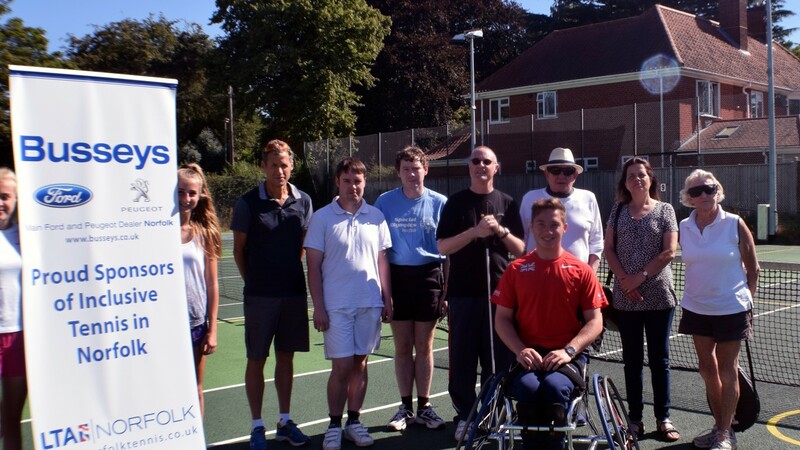 We’ve already seen the progress the NLTA have made regarding wheelchair tennis, as Wimbledon wheelchair champion and Paralympic silver medalist Alfie Hewett started off his career at the East Anglia Lawn Tennis and Squash Club with training from specialist coaches in Norfolk. Alfie is an inspiration to upcoming players and a great example of the NLTA’s hard work and the services it provides. Mike Hughes from the NLTA also informed us that our sponsorship money has gone to providing specialist equipment such as, a disability tennis bag from the Tennis Foundation, extra mini rackets and visual impairment tennis balls. 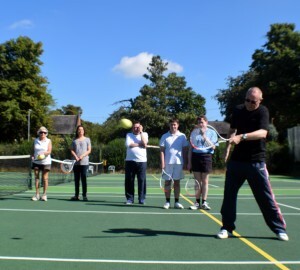 We’re delighted to hear about where our sponsorship money has gone and look forward to hearing about the progress being made around Norfolk for disability tennis. 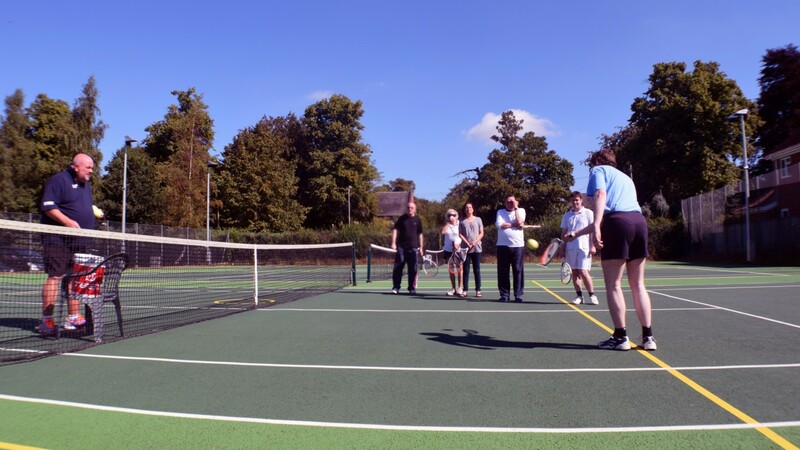 Earlier this year we managed to catch a glimpse of the facilities the NLTA provides for disabled tennis, when we were invited along to the Norfolk Closed tournament at the East Anglia Lawn Tennis and Squash Club on Lime Tree Road. We got to meet a number of different people looking to benefit from the facilities and one particular athlete who has already benefited from them, Alfie Hewett. Coach Derek Perry went through a number of training exercises which highlighted how important it is to have specialised equipment for the players. 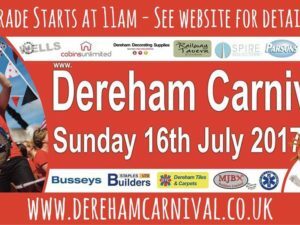 The Norfolk Closed tournament enabled us to visually see for ourselves the hard work and dedication that goes into giving opportunities for everyone to play sports around the county. We look forward to keeping you updated with any events happening around Norfolk concerning the NLTA. I don’t use a wheelchair in everyday life, am I eligible? Yes of course! The game is open to anyone with a physical disability. I feel like I could benefit from this. Who do I need to contact? 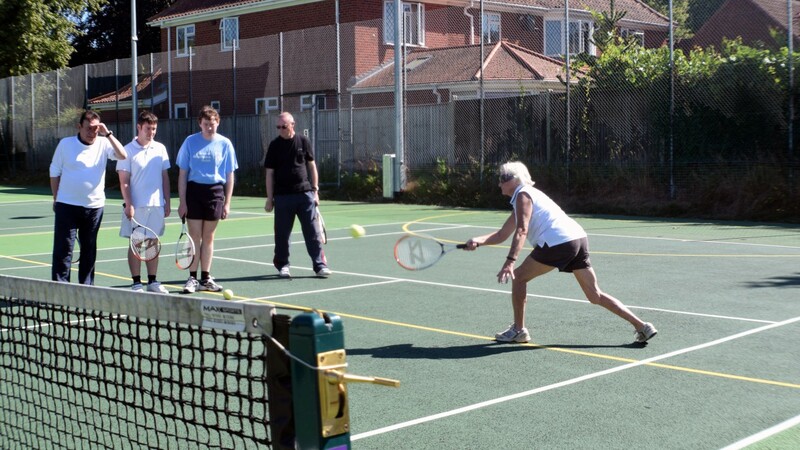 For anything regarding disability tennis you can email Norma Bowen at: disability@norfolktennis.org. Head over to the NLTA website or their Twitter and Facebook pages for more information.